I love reading books about other places and cultures, but for the most part I consider myself an armchair explorer. I read about the adventures and experiences of others while sitting at home on my own comfortable couch. But books like the ones I am sharing today make me want to pack my bags and take a trip to experience some of the sights and sounds so beautifully described. These books talk about war however and I am more than willing to skip that part. Ha has spent all of her ten years in Saigon (Vietnam). She knows the markets, she does well in school, and she loves the papaya tree that she planted behind her family's house. But the war is creeping ever closer and her mother struggles to provide enough food. As it becomes apparent that Saigon will fall to the Communist North, Ha and her family make a painful choice to flee the country in hopes of finding refuge. When they land in America things seem to be working out, but as Ha struggles to adapt to a new language, a new religion, new climate, and new food, she wonders if it wouldn't have been better to stay in Vietnam. And what about the father she has never met who went missing nine years earlier? Usually I am not a big fan of novels written in free verse. I like my poetry to be poetry and my stories to be prose. But I have had the privilege of reading this book and several others that have convinced me that done right, free verse can be particularly powerful. 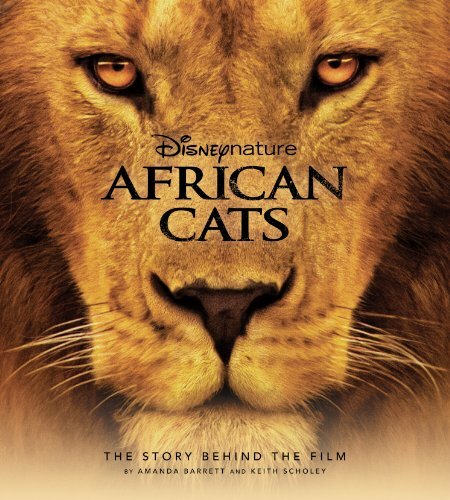 This story is based on the author's experiences as a child and maybe that's why they are so realistic. I promise you will not be able to read this book without feeling compassion for Ha and her family. You will cheer for their successes and feel discomfort at the poor treatment they receive from many. The book provides a thought-provoking look at a topic (immigration) that remains controversial still. Highly recommended. 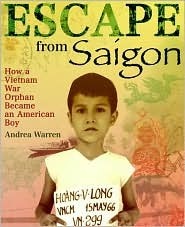 For another look at life in Saigon before and during the invasion try the following book. Farrar, Straus, and Giroux, 2004. This is the true story of a young Ameriasian boy finds a new family in the United States. Being the son of a Vietnamese woman and an American man puts Long in a difficult position. Because of the war, many do not see Americans with an unbiased eye. When Long loses his mother and his grandmother can no longer support him, he goes to live in an orphanage run by a nonprofit organization from the United States. As the Communists get ever closer it, Holt International (the group running the orphanage) decides they must get the children out without delay (most of the children have been placed for adoption). The book follows the remarkable operation known as Babylift which helped get over two thousand children out of Saigon before the Communists arrived. The rest of the story follows Long's (Matt) experiences in adjusting to a new family and a new life. This book beautifully compliments Inside Out & Back Again, giving the reader a glimpse of the Vietnam War from the perspective of a child. It also reveals that some good things were done by Americans as well as all the bad things we always here about happening during that war. The writing is clear and crisp and perfect for reading out-loud. This book gives the reader, especially a child reader, a chance to see some of the things that children experience around the world, and hopefully better appreciate the good things about living in the United States. Eagles, hawks, falcons, owls, and herons are some of nature's most impressive hunters. With sharp beaks and talons and intense eyes, these birds are magnificent in appearance as well. In Thunder Birds, Jim Arnosky presents the reader with a gorgeous look at these predators and what makes them such deadly hunters. From the powerful (and sharp) talons of the eagle, to the stabbing beaks of herons, these birds create striking images in our minds. Arnosky's illustrations are the best part of this book. The fold-outs are particularly striking as they show some of these birds at their actual size. In addition to the illustrations, Arnosky provides a glimpse into some of his own experiences with these birds including, watching black vultures tear apart an eight-foot alligator and an owl brushing by in the dark of night without making a sound. A fine book for sharing with groups large and small. Nonfiction Monday is a blog feature where children's literature bloggers share some of the great nonfiction available. This week it is being hosted by History with a Twist. Mellie had a small friend named Fidius when she was young. 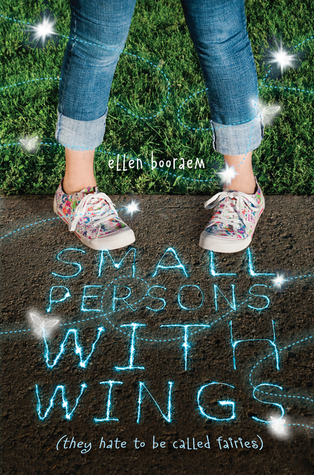 He was a small person with wings (NOT a fairy). Unfortunately, Mellie bragged about him one day in kindergarten and the kids pressured her into bringing him to school. When Fidius found out about this, he disappeared. Soon, all the kids at school were calling Mellie, 'Fairy Fat.' Mellie responded by turning away from all things imaginary and becoming an avid student of math, science, and artists. She's relieved when she finds out her family is moving to take over her grandfather's old inn because she hopes it will give her a chance to start over. Her relief is short-lived however, when she discovers the inn's basement has been taken over by small persons with wings and that her family has an obligation to them. Soon, things go from bad to worse and Mellie wonders if she'll ever have a chance at real friendship. I confess, I had a hard time really liking Mellie. Her cynicism and prickliness are off-putting. At the same time, I wanted to know how things turned out for her. These responses I've decided are exactly what the author had in mind. Mellie isn't supposed to be really likable at the beginning because of the fences she's put around herself, at the same time, one can't help but feel compassion for Mellie as a result of the bullying. The book definitely covers new ground as far as fairies are concerned and it adds to the interest of the book. I didn't feel like I had read the book a zillion times before. These are definitely not Disney fairies. 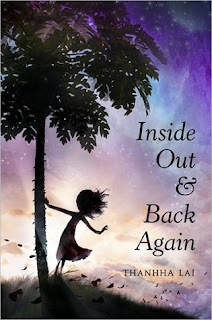 A fun, book perfect for readers who are ready to move on from Disney or Rainbow fairies. I think boys could enjoy this as well as girls. Jake and Charlie sell newspapers. Based on how well they do each day, they chose a place to sleep, varying from alleyways to boarding houses. Often the headlines determine how well the newspapers sell. When the paper starts printing stories about a telescope that allows the moon to be seen, the boys start doing really well. Each day the newspaper carried an article about the fantastic things that were being seen on the moon. But could Jake's and Charlie's good fortune last? I find this book very unusual, first because of the idea that such stories were believed, and second, the strangeness of the stories being told. The illustrations are rather strange in and of themselves, which I think matches the strangeness of the stories the newspaper printed. Unfortunately, I don't think the illustrations will appeal to many children, although children's tastes can be very surprising. The strength of this book though is the idea it presents of telling lies to make money. This fits in perfectly with teaching children about media literacy and learning to question what one reads. The illustrations could very easily turn into a discussion of what illustrations are designed to do and the abstractness of art. These themes would lead me to use this book with older students, I think it might confuse younger children. 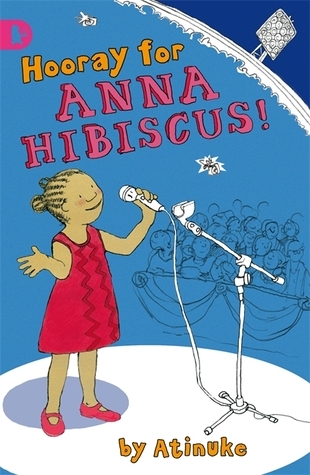 Anna Hibiscus lives in amazing Africa. She lives in a white house with a courtyard with her parents, brothers, cousins, aunts, uncles, and grandparents (except her mother's relations who live in Canada). There is plenty for her to enjoy and learn in her life, whether it is visiting the beach with family, selling oranges to help someone else, or dreaming of snow in far off Canada. 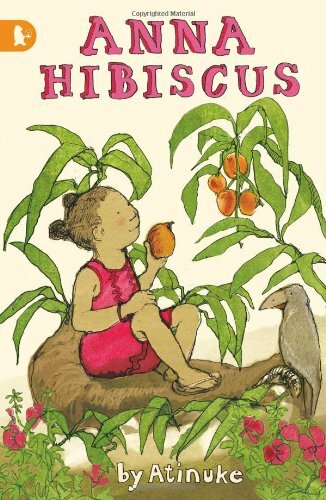 This book contains four short stories about Anna Hibiscus's life in Africa. 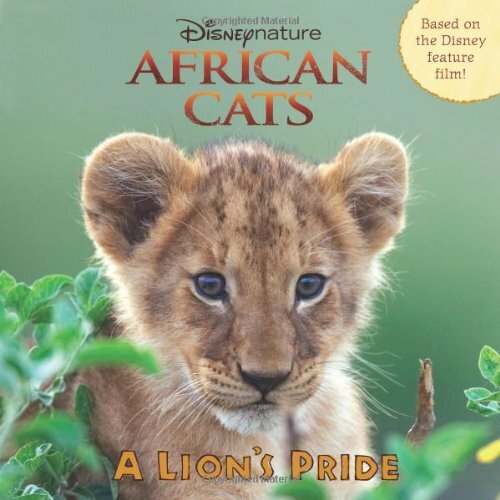 The stories move smoothly and comfortably through life in Africa. The reader learns a lot about a different culture almost without being aware of it. This is the best kind of story, in my opinion, where the reader learns about different points-of-view without the author trying to teach it. 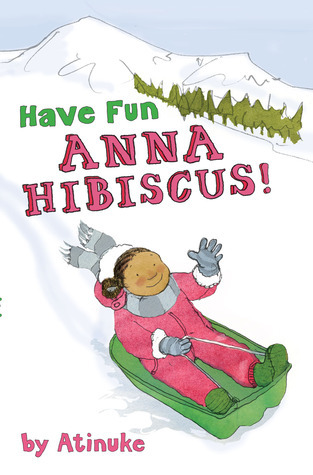 The reader quickly learns to like Anna Hibiscus and her extended family. 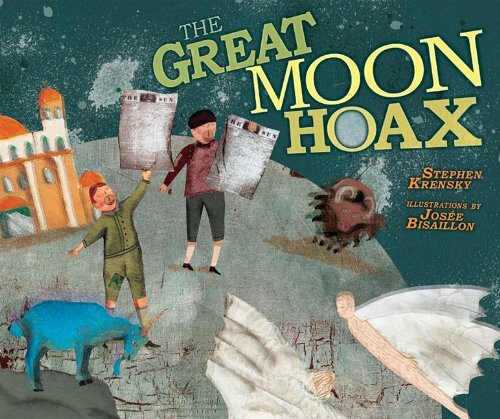 The delightful illustrations beautifully compliment the stories. 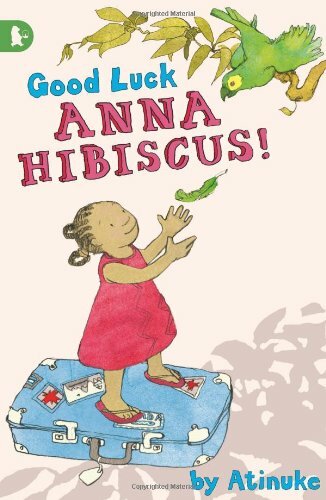 I soon wished I could climb Anna Hibiscus's favorite tree or laugh and play at the beach with her and her family. Other reviews: Kirkus Reviews, Educating Alice, Through the Looking Glass Reviews, Bookends, and A Fuse #8 Production. Annabelle wants to be noticed. Her first day of school she realizes that all the girls have the same types of hairdo, ponytails and braids. At home, she sees the picture of her grandmother's bouffant and decides to try it for her face. 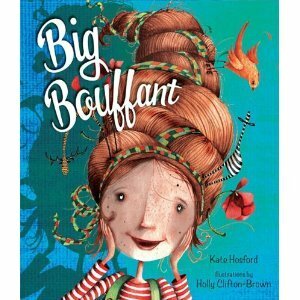 She tries to create a bouffant by herself using butter and other ingredients, finally her mother helps and she does indeed get her classmates attention. Once all the girls are wearing bouffants however, Annabelle decides that to be unique she needs to try something else. I have to say, this book reminds me of the girls who like to play with each others hair during story time. I confess I like to have my hair played with as well. These girls are the primary audience of this book. The illustrations are delightful and cute. And the writing is perfect for reading out loud, although, I think I'd lose the boys if I read it for any of my classes. Also, the idea of changing one's appearance to please others is implied, although, I think the idea of Annabelle wanting to be unique comes through in a stronger fashion. This book could provide an opening to discuss the idea of peer pressure and changing our behavior to please others rather than ourselves. Reviewed from copy provided by publisher through NetGalley and personal copy. None of the paintings of George Washington that most Americans are familiar with are considered truly accurate by many historians, this includes the painting used to create the image of Washington on the one-dollar bill. In 2005, a group of historians, scientists, and skilled artisans at Mount Vernon decided to try to create life-size models of Washington at three major points in his life. 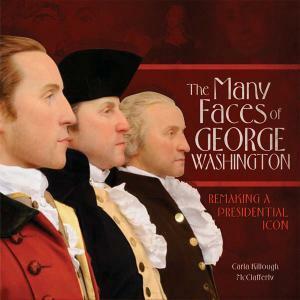 The book describes these efforts and the incredible amount of work that went into the creating of these three full-body representations of Washington. The process required the efforts of many skilled individuals, including tailors, leather-workers, and computer programmers. Numerous images and writings were examined to come up with every possible detail to add to the authenticity of the models. The results are astounding. This book is fantastic. The mixture of events from Washington's life along with the science and history involved in the creation of the models is fascinating. The writing is clear and crisp and easy to follow, and the photographs of the process provide a glimpse into this painstaking work. I learned a lot from reading this book and plan to share it with my fifth grade students. Highly recommended. Nonfiction Monday is being hosted by Simply Science today. Reviewed from copy provided by publisher. I confess, I've been waiting for this one for over a year. It just sounded like a delightful read. And it was well worth the wait. 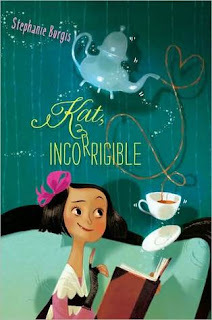 Kat is just the sort of character that I love to read about. She's feisty and loyal and determined, but very human in her mistakes. When Kat learns that her sister, Elissa, in order to save the family from disgrace, is being pushed into a marriage with Sir Neville, a rich widower about whom rumors swirl, she is determined to stop it. When her first plan involving running away dressed as a boy to London fails, she must come up with another plan to save her sister and family. Taking place in the Victorian era, this has shades of Jane Austen, except for a younger age and with magic thrown in for good measure. I found the writing to be good but not perfect, but the real fun is in the characters and plot. Almost immediately the reader starts cheering for Kat in her efforts to help, despite the fact that her plans tend to be rather dramatic and impulsive in nature. When Kat investigates her mother's things, she discovers a world very different from the one she has known, but throws herself into the magical realm with as much enthusiasm as she does everything. I found the book to be delightful and well worth reading multiple times. Definitely one of my favorites of the year. The process and challenges of inventing things has long fascinated me. Invention is one of the things that make us, as humans, different from the creatures around us. While science does not by all means have all the answers to the many questions we have about our earth, still it provides us with a way to try to understand the world around us as well as making our world a better one. Of course like all things in an imperfect world, science and invention don't always lead to good results. Flight is one subject that humans have long dreamed about. Long before the first airplane took off, scientists and inventors experimented with the concept. There have been many people who helped make manned flight possible. The book I'm reviewing today, provides a glimpse of the passion that people have shown for flight. While this book is fiction that involves altering history, it does a beautiful job of showing the challenges and delights of flight and invention. Five children are brought together on an isolated farm in Ohio. Having been separated from their parents for no reason they can think of, they are confused. 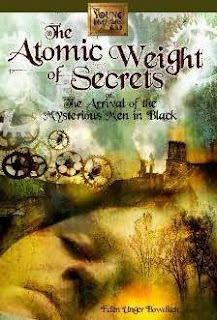 Though they quickly develop a fondness for the teacher that they have been provided with, Miss Brett, they remain suspicious of the mysterious men in black who have brought them to this place. Faye, a thirteen-year-old girl from India, becomes convinced that their parents have been abducted and need to be rescued. While the others, Jasper (12) and his sister Lucy(6), Noah (12), and Wallace (9) aren't as sure. Nevertheless, these five intellectually gifted children start work on an invention that could be used to rescue their parents, if they just knew where their parents were. When a menacing stranger arrives and demands their invention be turned over to them, the children must decide once and for all what action to take and who they can trust. Is their beloved Miss Brett truly on their side? Just who are the mysterious men in black? Will they ever see their parents again? To be honest, the title of this book made me a bit wary, it makes the book sound dry and boring, but once I started reading, I couldn't stop. I quickly came to care about each of the children and their confusion. The author does a delightful job of mixing humor in through the amusing descriptions of the different men in black that the children run into. I also loved Miss Brett. It's refreshing to read a book with a caring and skillful teacher, there are so many books these days that make teachers the enemy or just plain stupid. While Miss Brett can't teach the students anything about science that they don't already know, she does open up to them the world of literature and imagination. I have to admit, the twist at the end got me, I really didn't see it coming, but it fit in perfectly with the story. 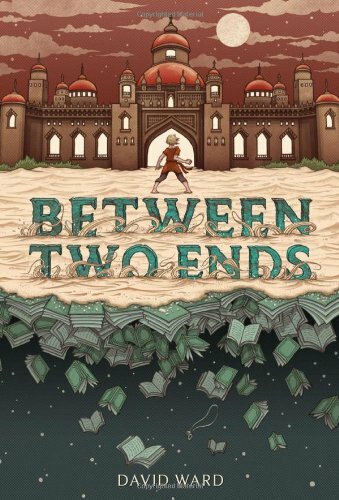 This book would make a wonderful read-a-loud, the writing is superb and her descriptions of the setting made me wish I could visit the places that the children see and experience. I also fell in love with these talented but confused children. I look forward to reading more about them in future installments. Things aren't good between Yeats' parents and he doesn't know why. They have come to visit his Gran to try to help his father come out of the depression that continues to plague him. Yeats quickly discovers that there is more going on than he ever dreamed. He finds a pair of bookends that allow him to travel inside any book. 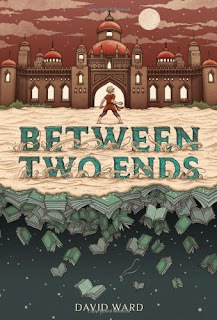 When he learns that his father's depression is related to the disappearance of a girl into the Arabian Nights twenty years earlier, he determines that the only way to help his father is to bring the girl back. But that means he himself must travel into the story, where anything could happen. As a librarian, I passionately believe in the power of stories to change people's lives. I enjoyed reading a story about the power of story, but also the power of our own seemingly insignificant lives. As Yeats learns, stories have the power to change people. The writing is quite good and Yeats' adventures prove engrossing. This book is perfect for those who love to travel to other places and times through the words of a good book. I guess today is my day to highlight disaster books. 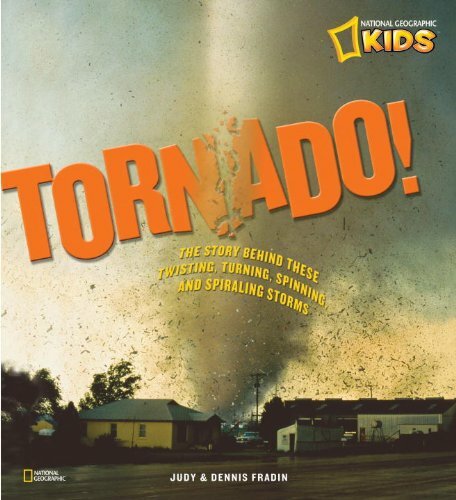 For Nonfiction Monday, I highlighted tornadoes and for Mix N' Match Monday, I am highlighting hurricanes. Storm Runners is the first in a new trilogy by Roland Smith. After his mother and sister's deaths, as well as his father's brush with death, Chase travels around the country with his father, offering 'help' to those whose property is damaged by natural disasters of various kinds. Chase doesn't think that helping people prepare for storms for free and then charging to help repair the damage afterwords is very ethical. This time he and his father head down to Florida in preparation for a big hurricane that has been forecast. Chase stays with the trailer and semi-truck while his father and Tomas head to the city that seems to be the hurricane's target. Chase discovers to his surprise that he is staying at an animal park where circus animals are kept and cared for. He befriends Nicole, the manager's daughter and helps organize the place. Chase and Nicole are on their way home from school on a bus when Hurricane Emily strikes. When the bus gets tossed around by the hurricane, Chase, Nicole, and Rashawn must brave the storm to try to reach safety. Like many of Smith's books, this one presents a survival situation where the main character must use his/her wits to survive. The book provides just enough tension to make the reader want to finish the book and find out what happens to Chase and his new found friends. Being the first of a trilogy, however, means that the book ends on a cliffhanger. Chase's situation presents the reader with a glimpse into just how terrifying and dangerous hurricanes really are. Recommended for those who like survival stories. This next book, as nonfiction, takes the reader into the science of hurricanes and into the path of Hurricane Katrina as experienced by the author, a newspaper reporter. As a reporter, Treaster's job required him to head not away from Hurricane Katrina, but right into the heart of it. After the storm, he was asked to turn his experiences into a book, which he has done. The result is a quite readable book about Hurricane Katrina and the science and tracking of hurricanes in general. He starts with a brief look at the history of hurricanes and the human reactions to them. He follows that up by talking about some of his own experiences with hurricanes and the horrific damage they do. Then he explores the science of hurricanes and the technology developed to monitor and study them, including the dangerous job of flying into the heart of hurricanes. He moves on to discuss the ways that people react to hurricanes, everything from evacuation to sitting it out. This book provides a very readable account of what it's like to live through and study hurricanes, as well as giving an introduction to the nature of hurricanes. The book would make a nice complement to a study of the weather by giving students a spectator's eye view of this most devastating of storms. The photographs, charts, diagrams, and sidebars provide supporting information. Recommended to those who like me are fascinated with the weather. After the disasters that have struck around the country, it seems appropriate and not a little ironic for me to review a book about one type of disaster: tornadoes. It does bring home, however, the point that when publishing science books it is almost impossible to keep up to date. This book came out just a few weeks ago and yet some of the records mentioned in the book have been shattered by the recent outbreak of tornadoes. Still as with most National Geographic Children's books, it provides a high quality introduction to the phenomenon we call tornadoes. The book starts by telling the reader about a monster tornado that struck Greensburg, Kansas back in 2007. Using bulletins from the weather service and comments by those who lived through it the reader gets a glimpse of the terror and incredible damage a tornado can cause. The photographs, as one would expect from a National Geographic book, are stunning. The picture of an almost entirely black sky with a tornado touching down is shiver inducing. There is nothing quite so humbling as Mother Nature. The following chapters talk about the development of tornado science and prediction. The charts and diagrams and quick facts add nicely. 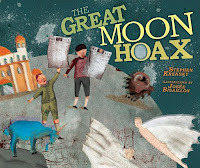 The design of the book is very attractive and appealing, especially for reluctant readers. The lists of tornado records will of course need to be adjusted after this most recent outbreak, but the numbers are still impressive. For example, the widest known tornado was two miles, the highest wind speeds ever recorded on the planet were in a tornado, 318 miles per hour. Facts like these are hard to fathom for those of us who haven't witnessed them. 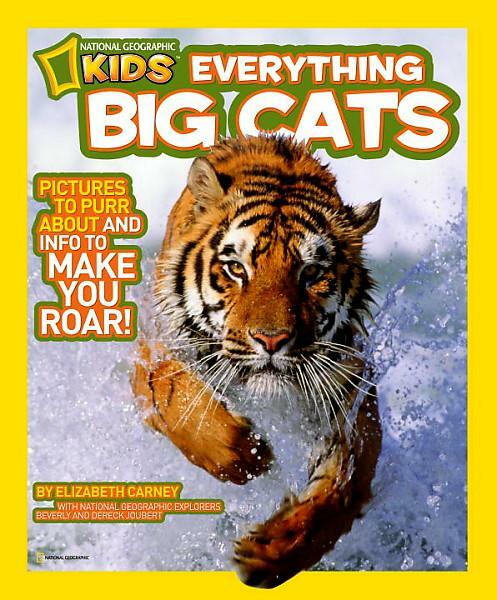 Like most National Geographic publications, the photographs are its strength, creating awe on the part of the reader. The list of websites and books at the end of the book are a nice complement to the rest of the book. I highly recommend this book for those who want a better understanding of tornadoes and their affect on human lives. 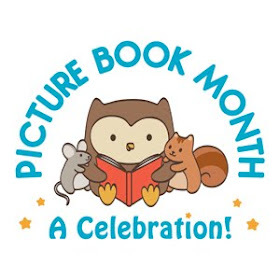 Nonfiction Monday highlights nonfiction books for children and occurs every Monday. This week's host is Shelf-Employed. Thanks for stopping by! It's been a couple of weeks since I've posted anything, it seems that good habits are hard to keep up and bad habits are easy to keep going. But with this post I hope to get back to a regular schedule, despite the stresses that pile up at the end of every school year. 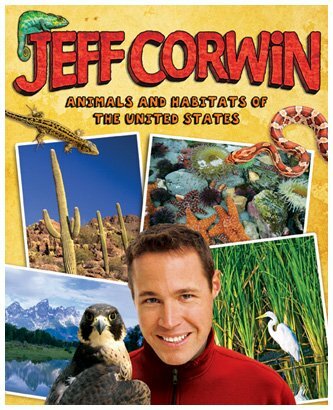 Today, I will be highlighting books by or about the TV naturalist Jeff Corwin. I'll start with the fiction series. This new series follows the travels and nature discoveries of Benjamin and Lucy Baxter. 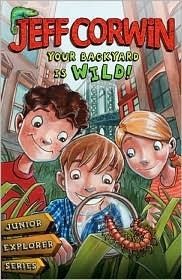 In book one, Benjamin and Lucy travel to New York City to visit their cousin Gabe. While touring the city, Benjamin and Lucy show Gabe a side of New York that he has never noticed before, revealing that the natural world is never to far away, even in an urban environment. 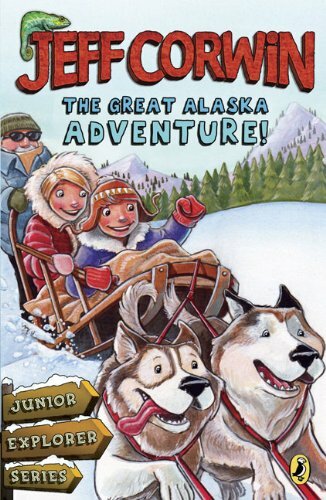 Book two finds Benjamin and Lucy traveling to Alaska with their mother, a biologist, and father, an ecologist. While their mother conducts some research, Benjamin and Lucy begin to discover some of the wildlife and habitat that make Alaska so unique. They experience what it's like to see a brown bear cub and bald eagle in the wild. They also get to see a glacier up close. Book three sends Benjamin and Lucy and their cousin Gabe off camping in the southwest where they experience the unpredictability of weather and wildlife. After a rough start to their vacation, involving a scorpion and getting rained out. Benjamin, Lucy, and Gabe find petroglyphs, a Gila monster, and white lizards making their trip to New Mexico well worth the effort. 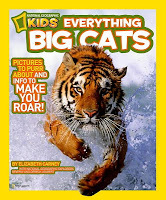 These books are fun, light reads, perfect for students fascinated with the natural world. Corwin does a nice job of seamlessly integrating information about each of the environments the kids visit into the story, allowing the reader to experience the excitement of discovering things on one's own. The author's passion for the natural world shines through and urges the reader to a greater appreciation of the natural world. 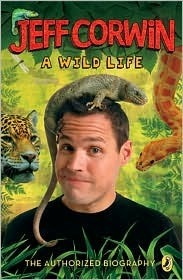 Jeff's passion for the natural world developed at a young age. At the age of six he discovered snakes, scaring his family when he came into the house with a garter snake's teeth sunk into his arm. He didn't want to let it go for fear he would never see it again. He's had a special affinity for snakes ever since. He started studying nature both in and out side of the house. He put aquariums all over his bedroom so he could study the critters he brought home. But like all of us, Jeff had his struggles too, school was not easy nor did he feel he really fit in with the other kids, being overweight. In high school he discovered theater, from which his television career developed. With so many biographies written to be used for reports, it's very refreshing to find one that provides a fun and entertaining look at its subject. 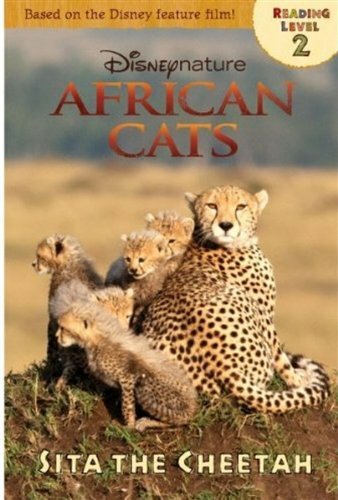 This book is very readable and the photographs included provide a glimpse of some of the adventures Jeff has been on (my favorite is the picture of him 'sleeping' next to a rhino.) Highly recommended, especially for students who think biographies have to be boring and about dead people. And last, but not least, we have this book about the wildlife and habitats of four different ecosystems of the United States. The author starts by explaining what an ecosystem is (a house where all the parts work together) in a very straightforward way. I get tired sometimes of books that use a lot of scientific jargon, but Corwin's books are very readable and easy to understand. The four ecosystems covered are Yellowstone, Monterey Bay, The Sonoran Desert, and The Everglades. In each chapter, the reader is provided with descriptions of both the habitat and some of the wildlife that live there. Corwin does an excellent job of showing the reader how the different plants and animals each contribute to the uniqueness of the habitat. Not only is this book easy to read but the attractive layout and photographs add a lot to the overall package. Highly recommended. These books would be great to use with kids, in a classroom or out. In addition to the fascinating information about the natural world, they provide a glimpse into what it's like to live your dream and follow your passion. It's easy to forget sometimes why we do some of the things we do. Enjoy!